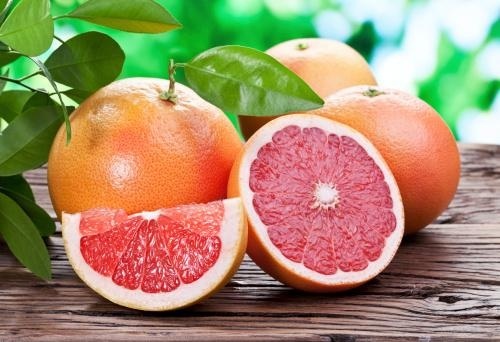 Research has shown that certain fruits, particularly grapefruit and other citrus juices, can interfere with medication efficacy. A review in the journal Pharmacy Practice sought to explore warfarin interactions involving fruits to see which fruits were most commonly associated with these interactions. Twenty-three case reports and controlled clinical trials were evaluated and the majority involved cranberry products (also the most frequently studied fruit). Pomegranate juice, avocado, grapefruit juice, mango, and papain were also suspected in the reported warfarin–fruit interactions. Based on these limited findings, additional research is needed but physicians may want advise patients taking warfarin to consume cranberry products and grapefruit juice in limited amounts and to inquire regarding recent mango, pomegranate juice, and avocado consumption. Purpose: The aim of this review is to discuss possible interactions that may occur between warfarin and fruit products. Methods: A literature search was conducted using the search terms: “warfarin (Coumadin®) and fruit interactions, warfarin and fruit, warfarin and fruit juice, case reports and clinical trials”.